Think back to what has happened over the past year. Trump defeated a large field of Republican rivals with ease, even though most of them had far more political experience than him and represented a range of genuine conservative views that should have appealed to GOP voters. He repeatedly defied many established norms of political campaigning and survived well-documented accounts of sexual predation and the release of an audiotape that revealed his misogynistic attitudes. It was hardly surprising Trump’s ascendancy alarmed the establishment, because he had repeatedly challenged many enduring shibboleths about U.S. foreign policy. He openly questioned the value of NATO and said he might not fulfill U.S. treaty obligations to America’s allies if they did not spend more on defense. He suggested it might not be a bad thing if Japan or South Korea acquired nuclear weapons and praised Russian President Vladimir Putin as a “very much a leader. . .with strong control of his country” and refused to condemn Russia for its seizure of Crimea, support for the Assad regime in Syria, and alleged cyber attacks on the United States. He called the agreement capping Iran’s nuclear program “the worst deal ever negotiated,” vowed to reject the Trans-Pacific Partnership in Asia, and threatened to launch trade wars with China, Mexico, and Canada. He also gave lengthy interviews during the campaign that revealed a sketchy, if not ill-informed, knowledge of international affairs. Yet Trump won the election and will soon be president, despite having taken dead aim at the grand strategy of ‘liberal hegemony’ that Republicans and Democrats alike have embraced since the end of the Cold War. Liberal hegemony seeks to expand and deepen a liberal world order—one based on free markets, democracy, human rights, and strong international institutions—under benevolent American leadership. Its proponents see the United States as the ‘indispensable nation,’ with a unique role to play in spreading liberal values and preserving a ‘rules-based’ international order. Under this strategy, both Republican and Democratic administrations have pursued a highly revisionist foreign policy: expanding U.S. security commitments in Europe, Asia and the Middle East, confronting or overthrowing dictatorships, and using military force and economic clout to force others to conform to U.S. values and preferences. Unfortunately, the results of this strategy have been dismal. Relations with Russia are worse than at any time since the Cold War, China has grown stronger and more assertive, European unity is visibly fraying, violent extremism is spreading, the Middle East is aflame, democracy is in retreat, and the United States has fought two long and costly ‘wars of choice’ without winning either one. Instead of disqualifying him from office, Trump’s “America First” rhetoric and his implicit rejection of liberal hegemony clearly resonated with an electorate that is increasingly skeptical about America’s hyperactive global role. Foreign policy was not the main issue in the campaign, of course, but neither was it irrelevant. A consistent theme in Trump’s message is opposition to globalization, which he claims has cost Americans millions of good jobs, opened the door to dangerous immigrants, and made America weaker. Equally important, a long series of foreign policy failures under the previous three presidents reinforced Trump’s anti-establishment message and undercut Democratic nominee Hillary Clinton’s claims to be a savvy and experienced leader who was ideally suited to sit in the Oval Office. How could someone who had supported the invasion of Iraq in 2003 and backed the ill-advised toppling of Colonel Muammar Gaddafi in Libya in 2011 counter Trump’s charge that U.S. foreign policy “was a complete and total disaster?” In fact, she could not. The track record of U.S. foreign policy under Presidents Bill Clinton, George W. Bush, and Barack Obama was extremely difficult to defend, and certainly not in a way that American voters could relate to and embrace. Why did liberal hegemony remain the default condition of U.S. grand strategy, despite its numerous failings? Part of the answer—but only part—is the vast power the United States possesses and the favorable geopolitical position it has long enjoyed. The U.S. economy still produces roughly a quarter of the world’s goods and services and it leads the world in scientific and technological innovation. It is the only country with global military capabilities, has thousands of nuclear weapons that can deter any major attack, and it is insulated from foreign dangers by two vast oceans. This favorable position cannot protect the United States from every conceivable threat, but it is still the most secure great power in modern history. This combination of vast power and overwhelming territorial security allows the United States to intervene with near-impunity all over the world, without having to worry very much about the short-term consequences back home. Because the United States is so rich, powerful, and secure, it can afford to follow a misguided grand strategy without bankrupting itself completely or opening itself up to foreign invasion. At the same time, these overwhelming advantages also mean the United States has relatively little to gain from an ambitious effort to remake the world. Even if pursuing liberal hegemony had gone well, it would not have made the United States much richer or safer. Indeed, because the United States is already so wealthy, strong and secure, it could just as easily have chosen to draw down its overseas commitments somewhat, passed the burdens of regional security in places like Europe to local allies, and devoted more time, money, and attention to improving the lives of its citizens back home. Thus, while America’s favorable position made pursuing liberal hegemony possible, it also made doing so less necessary. Liberal hegemony remained the default strategy, however, because most of the foreign-policy establishment was deeply committed to it. Just as there was an imbalance of power between the United States and the rest of the world, there was also an imbalance of power in Washington between forces favoring active U.S. leadership and those counseling greater restraint. Open-ended efforts to shape the world gave the foreign-policy establishment plenty to do, appealed to its members’ self-regard, and maximized their status and power. It bolstered the case for maintaining a military establishment that dwarfed all others and allowed special interest groups with narrow agendas to lobby and logroll for their preferred policies. In short, liberal hegemony has been a full-employment policy for the Beltway foreign policy bureaucracy and the penumbra of think tanks, public policy schools, lobbies, and corporations—that is, the various groups Deputy National Security Advisor Benjamin Rhodes once derided as “the Blob”—that dominates policy debate in Washington and benefits from an expansive and expensive grand strategy. 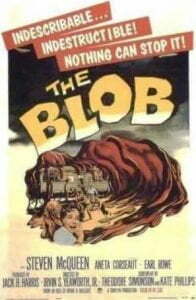 Moving away from liberal hegemony will require President Trump to take on the “Blob” directly, and here he faces a dilemma. If he puts experienced foreign policy officials in key positions, they will favor the status quo and resist a serious effort to reshape the key elements of U.S. foreign policy in the ways Trump has advocated. Trump could easily end up like Obama, who promised to put U.S. foreign policy on a different footing but ended up being captured and coopted by the liberal interventionists in his own party and by the entrenched ‘Deep State’ in Washington. On the other hand, if Trump opts for new faces who share his views, he will be relying mainly on inexperienced officials who are bound to make serious rookie mistakes. And if he tries to combine the two groups, his administration will be consumed by infighting, which will make it hard to formulate or implement a coherent and successful foreign policy. Whichever path he chooses, the battle between The Donald and The Blob will have a significant—even decisive—impact on the content and conduct of U.S. foreign policy over the next four years. The battle lines are already evident in the tussle over Russian interference in the 2016 election, Trump’s derisive tweets about the intelligence community, Secretary of Defense-designate James Mattis’s quarrels over appointments with Trump’s transition team, and the criticisms emerging from senior GOP figures like John McCain or respected foreign policy professionals such as former Deputy Secretary of State William Burns. It is too soon to tell who will win this contest, but the outcome will determine whether the recent election was a genuine turning point in U.S. foreign policy, or simply another vivid demonstration of the foreign policy establishment’s staying power. Stephen M. Walt is Robert and Renee Belfer Professor of International Affairs at the Harvard Kennedy School and a contributing editor at Foreign Policy magazine. He is the author of numerous books and articles on international relations and U.S. foreign policy, including The Origins of Alliances (Cornell, 1987); Taming American Power: The Global Response to U.S. Primacy (W.W. Norton, 2005), and (with John J. Mearsheimer), The Israel Lobby and U.S. Foreign Policy (Farrar, Straus & Giroux, 2007). This essay was written on 10 January 2017. See “Open Letter on Trump from GOP National Security Leaders,” at https://warontherocks.com/2016/03/open-letter-on-donald-trump-from-gop-national-security-leaders/. See “Statement by Former National Security Officials,” at http://www.nytimes.com/interactive/2016/08/08/us/politics/national-security-letter-trump.html. Allan Smith, “Donald Trump Praised Putin on the National Stage Again—Here’s What It All Means, Business Insider, 10 September 2016, at http://www.businessinsider.com/donald-trump-vladimir-putin-strong-leader-obama-2016-9. See “Trump Election Puts Nuclear Deal on Shaky Ground,” Reuters, 9 November 2016, at http://www.reuters.com/article/us-usa-election-trump-iran-idUSKBN13427E; Vicki Needham, “Trump Vows to ‘Rip Up’ All Trade Agreements,” The Hill, 3 March 2016; at http://thehill.com/policy/finance/271723-trump-vows-to-rip-up-all-trade-agreements. “Transcript: Trump Expounds on His Foreign Policy Views,” New York Times, 26 March 2016, at https://www.nytimes.com/2016/03/27/us/politics/donald-trump-transcript.html.